Proteins are the main building blocks of the human body. This includes tendons, organs and skin as well as hormones, enzymes and neurotransmitters. Anyone who performs any type of training can take advantage of Protein supplementation. Premium Whey is a quality protein that is also high in Branched Chain Amino Acids (BCAAs). Premium whey was formulated to ensure it is absorbed faster which in turn increases muscle protein synthesis. 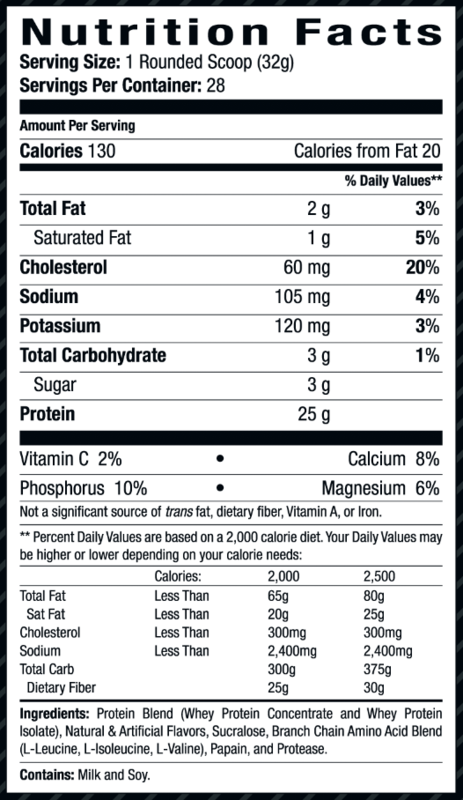 Each scoop has 24+ grams of high quality protein.